Rabbi Leiah Moser’s journey to the rabbinate began when she discovered Judaism while teaching English in Japan. She had read Maimonides and the philosopher Emmanuel Levinas in college, where she also read Robert Alter’s translations of Genesis and the King David story—her first true exposures to Jewish thought and writings; but it was her unexpected introduction to the Jewish religion while in Japan that spurred her religious awakening, one that illuminated her subsequent career and religious paths. Upon her return to the States, Rabbi Leiah joined a synagogue in Tulsa, Oklahoma, where she converted to Judaism in 2008. She graduated from the Reconstructionist Rabbinical College and was ordained as a rabbi in 2017. During her rabbinic studies, she received an Auerbach Ignition grant for her work incorporating electronic music into Jewish prayer. 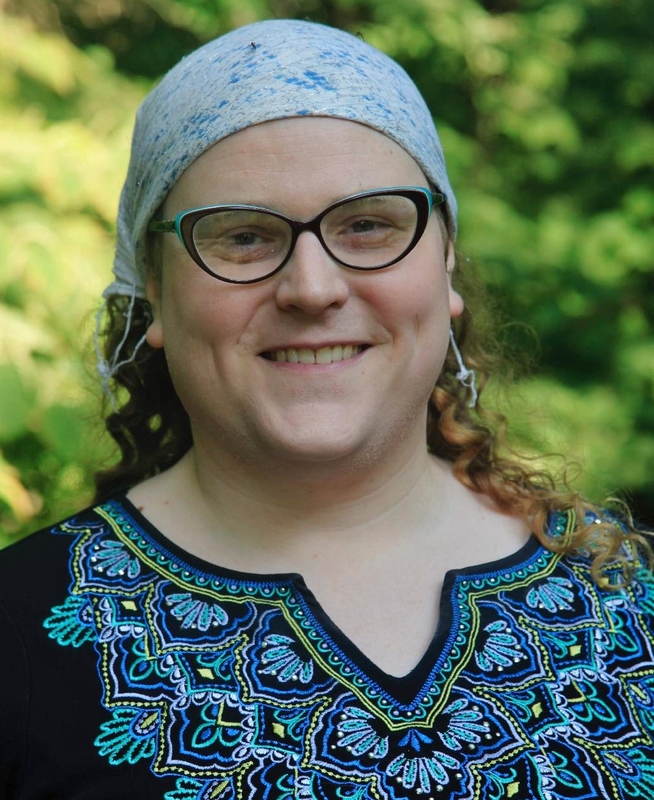 Her rabbinic interests include Talmud, kabbalah and Jewish mysticism, and the exploration of these through a queer lens; art and writing as a spiritual practice; and building open and accessible communities for all. Outside of her rabbinic work, Leiah enjoys fantasy and science fiction, painting, gaming, and making electronic music. Leiah earned her bachelor’s degree from North Central College in Naperville, Illinois in philosophy, the history of ideas and Japanese, and an MA in humanities from the University of Chicago. During her college years, she focused on exploring different philosophers’ ideas about a possible “third term” between/beyond subject and object. A framed piece of Japanese calligraphy (a graduation gift created by one of her professors) reads aidagara, meaning “relationship or “in-betweenness” which hangs in her office. The year 2017 was an auspicious one for Leiah. Not only did she become an ordained rabbi, she also got married to Ross Mattio and became a stepparent to four children. In 2018, she published a Jewish young adult fantasy novel titled, “Magical Princess Harriett,” about a transgender girl saving her town from the forces of darkness. Rabbi Moser has office hours on Tuesdays and Thursdays from 2:00 to 4:00 p.m.; her office is on the 2nd floor. She can be reached at rabbileiah@synagogue.org.